DETROIT -When Nikki Joly's Jackson home burned down in 2017, some thought the fire was a hate crime against the transgendered, gay-rights activist who had fought for a local anti-discrimination ordinance. "Real hate crimes are on the rise," Graham Cassano, associate professor of sociology at Michigan's Oakland University, said Monday. "But, as these crimes increase and become publicized, it's not surprising to me that people would take the opportunity to use this to their advantage and fabricate hate crimes." "We determined it pretty quickly to be an arson," Elmer Hitt, Jackson's director of police and fire services, said Monday. "We investigated it over, what probably was a year's time before the prosecutor ended up issuing charges." Declining to offer a motive for the house fire, Hitt acknowledged that some in Jackson were probably rattled - perhaps in a similar way to the Smollett case - by the police investigation's unexpected outcome and charge. Joly was named 2018's Citizen of the Year by the Jackson's newspaper, the Citizen Patriot. 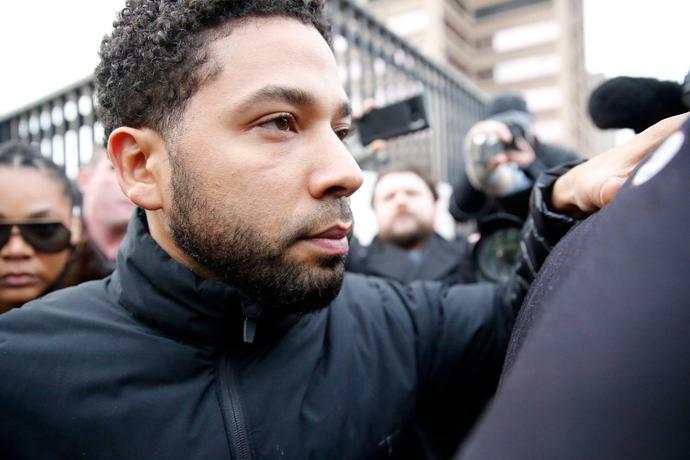 Wilfred Reilly, an associate professor of political science at Kentucky State University in Frankfort who has studied fake hate crimes, wrote that the fact that Smollett's case is being alleged a hoax "shouldn't surprise anyone." John William "Bill" King, 44, was put to death by lethal injection and pronounced dead at 7:08 p.m. (0008 GMT Thursday) at the state's death chamber in Huntsville, the Texas Department of Criminal Justice said in a statement. King, along with Shawn Berry and Lawrence Brewer, was accused of kidnapping Byrd while he hitchhiked in Jasper, Texas, on June 7, 1998.